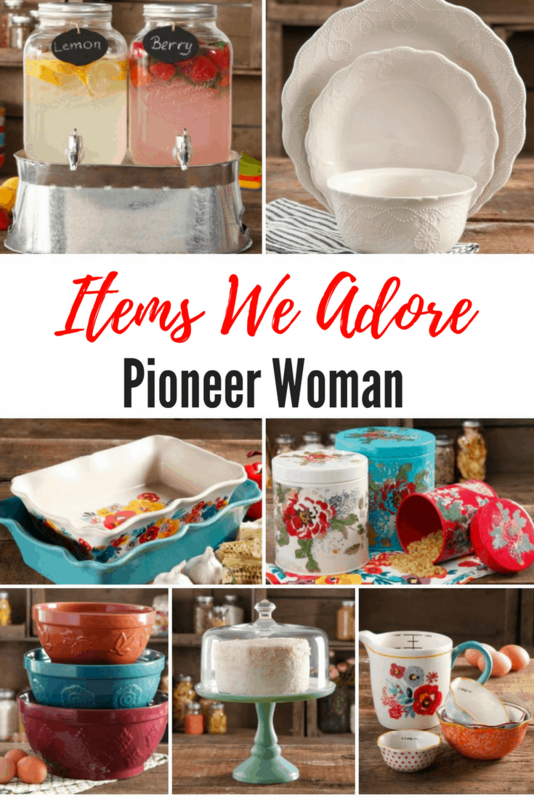 The Pioneer Woman Items We Adore at Walmart for the Kitchen and More! Are you a Ree Drummond (The Pioneer Woman) fan? 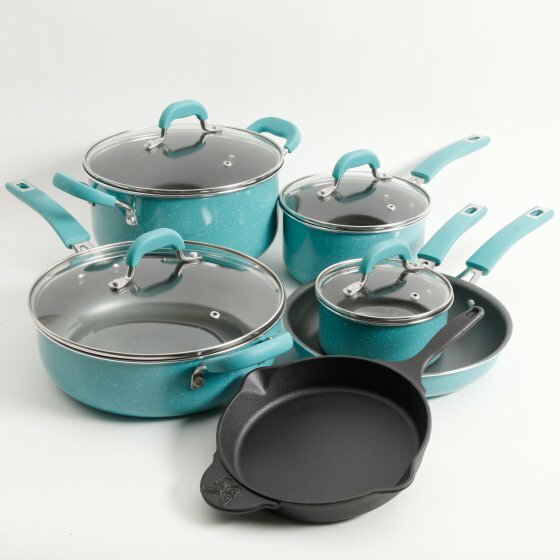 Her bright and beautiful kitchen items have been wildly popular at Walmart and Walmart.com. 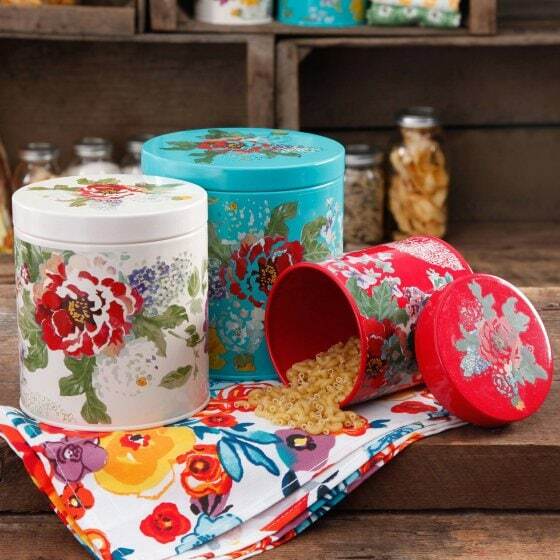 These kitchen items from The Pioneer Woman are very affordable plus they make great gifts. We have affiliate relationships which means we make a commission at no added cost to you if you click on our links. 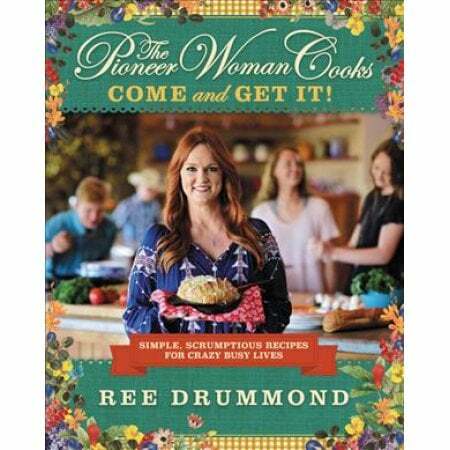 Cook some delicious dishes Ree Drummond style with the pioneer woman cookbook. 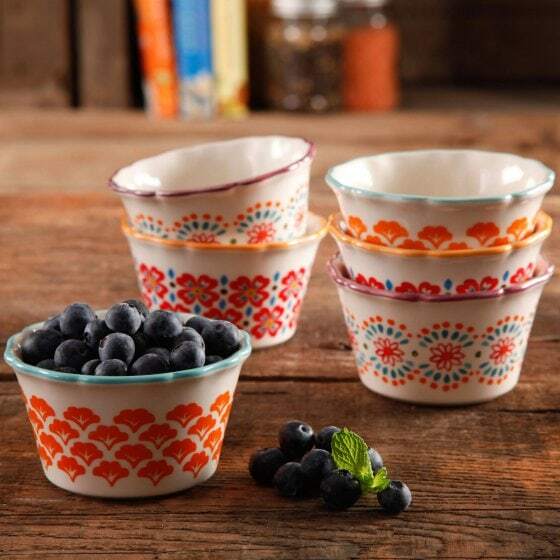 These little ramekins are simply adorable! 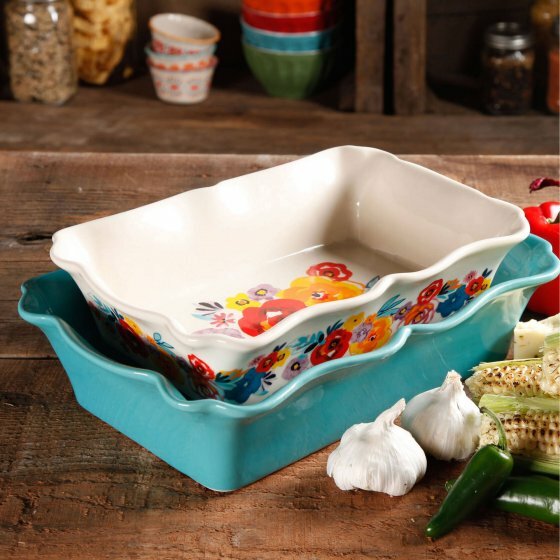 Use them for individual servings or to serve condiments. I love any kind of unique measuring cups and these are so sweet! Definitely going on my shopping list. This is a beautiful set of pots and pans. Ree shows us even the cookware can look great. Another favorite of mine. 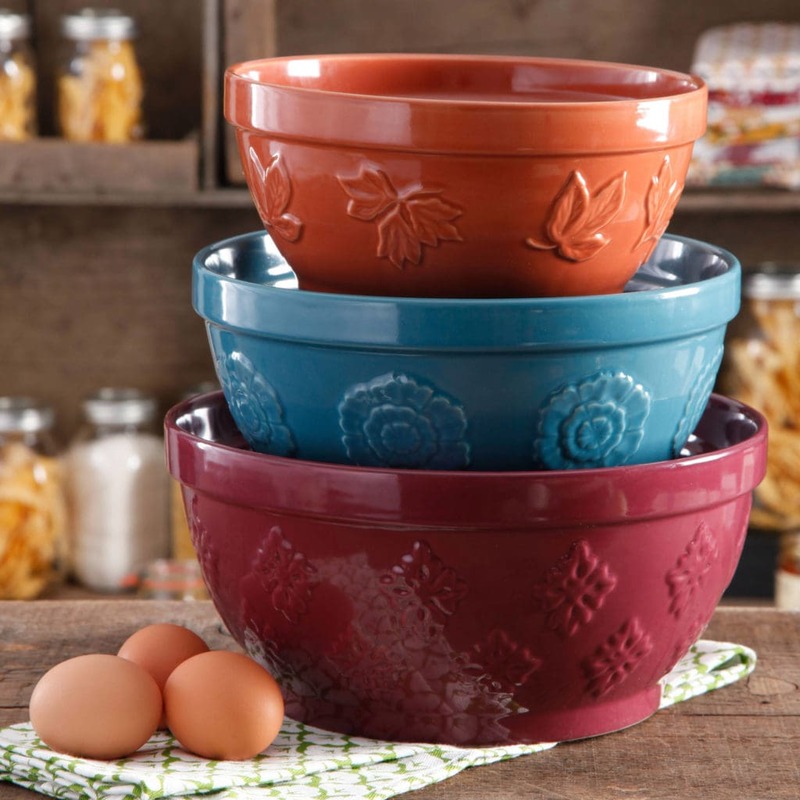 I love the vibrant colors of this set of mixing bowls. Pretty enough to use as serving bowls too. These classic white dishes are elegant beyond words. 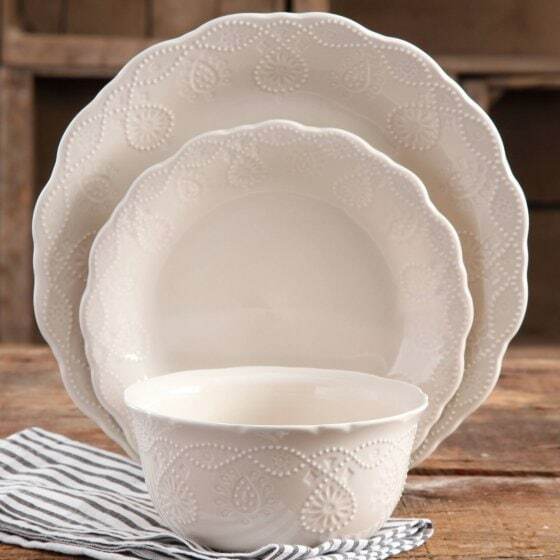 The white allows you to change up the table settings without having to change your dishes. 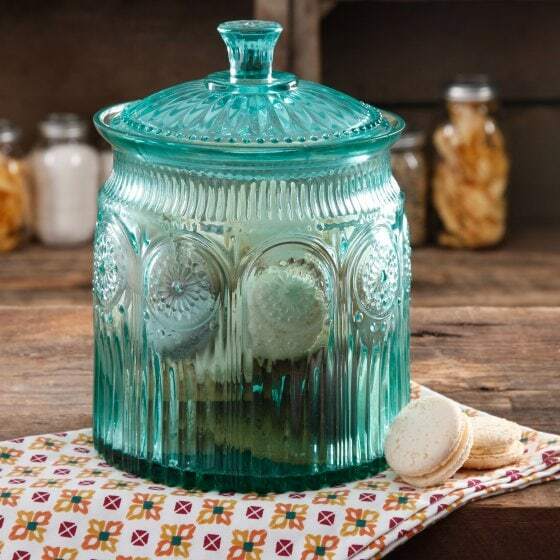 You will have the best-dressed cookies in town with this lovely turquoise cookie jar. 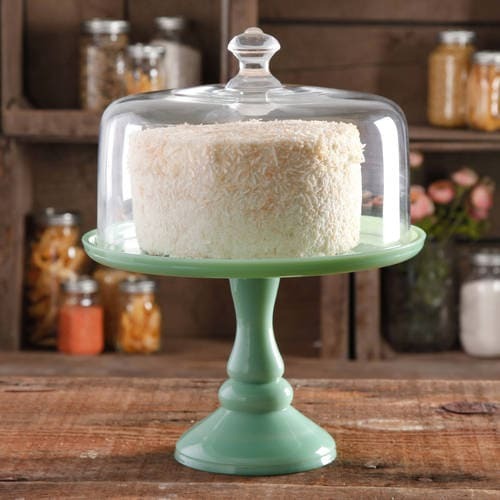 Display your baked goods one this elegant cake stand. It makes your cakes a centerpiece. 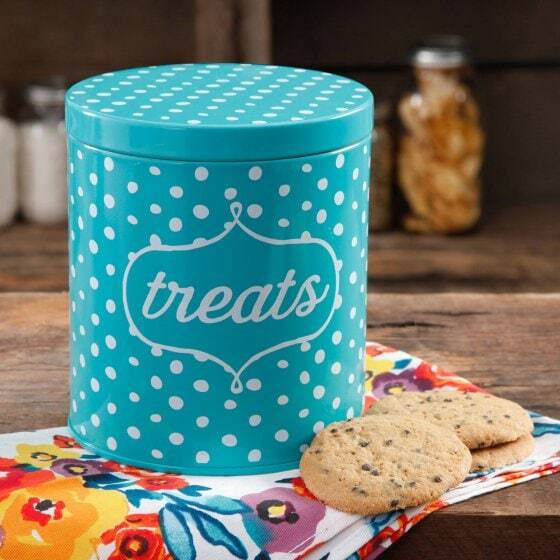 This adorable treat jar is just plain fun! Use for people treats or pooch treats. 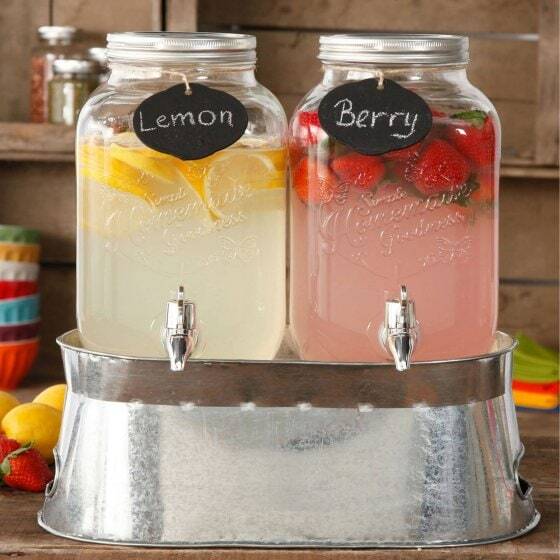 If you love to host various gatherings then this is a must. It is so handy for when groups come over. I own this set and love it. It just goes to show that practical can be beautiful. The fluted edge and floral pattern are so pretty. 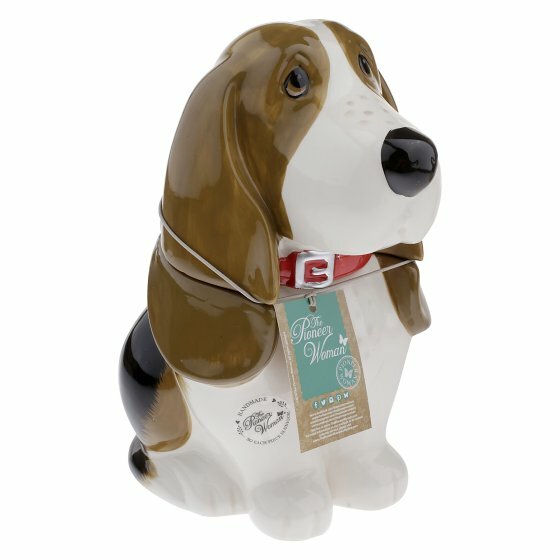 Another fun treat jar that can hold goodies for the people living with your or for your favorite four legged pal. 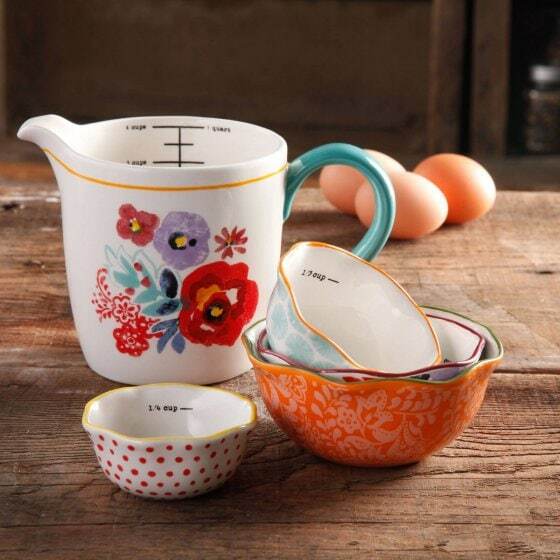 The bright colors and pretty floral colors will perk up any country kitchen. Do you have a favorite item or recipe from The Pioneer Woman?